This book really got to me. I wasn't expecting that. Not that I'm a jaded MOFO but I've read a lot of books that deal with murder and the victims of murder. 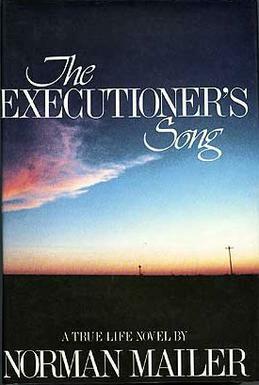 But, maybe the fact that this book is based on real life murderer Gary Gilmore, his family, victims, trial and eventual execution by firing squad was the reason why it stuck with me. I was so involved that I had to put the book down a few times and immerse myself in other "happier" works of fiction. I wouldn't suggest picking up this book unless you can handle heartbreak. For this book will break your heart and will make you squirm and you will put it down in disgust. If you can handle it.....read it.